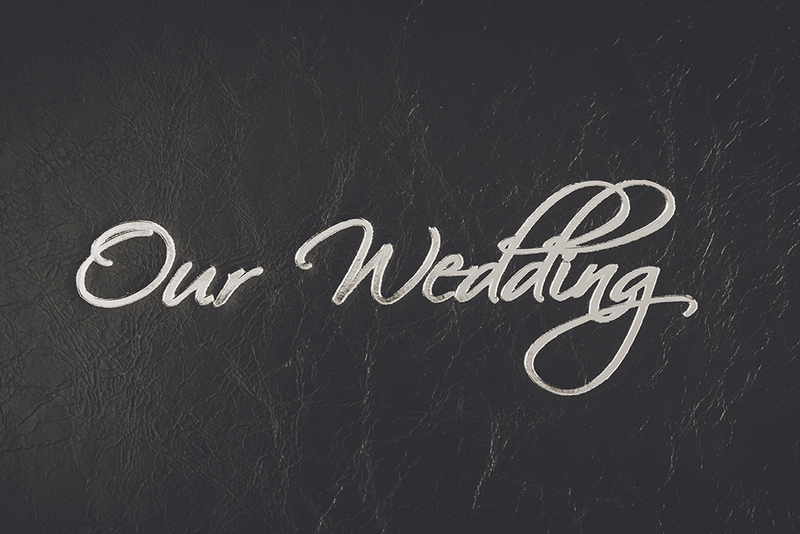 What makes a quality wedding album? The first thing Matt and I noticed when we opened up the shipping box was the weight of the album. Our jaws dropped when we opened the included album box and saw the top of the line, most amazing quality wedding album we’d ever seen. When you hold this album you know it’s something special before you even open the cover. 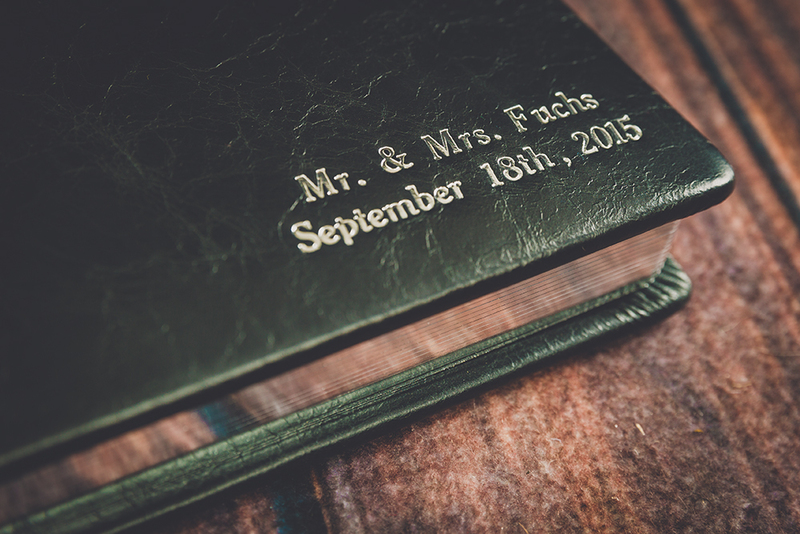 Not only do they look great and sophisticated, but a leather cover on your wedding album protects it from spills and other damages. Debossing names and dates right into the cover adds depth and texture. Lay flat pages are now the standard in wedding albums. Every page spread lays flat without any gutter to separate the pages, creating gorgeous panoramic views from edge to edge. The paper is top end, the colors vibrant, the images sharp and crisp. Lay-flat spreads eliminate the gutter. Thick pages never bend or curl. Silver gilding accent the edges of your album. These pages have a thick, robust core that doesn’t bend or curl. Built to last, our solid pages exude craftsmanship and quality. Last but not least, we custom design each and every album, every page, every image that goes into your wedding album. Album layout takes hours in front of the computer, even with experience and the right software. Before we ever send your album to print, we scrutinize it together. All picture additions or swaps, enhancements, and changes are finalized and okayed by you. 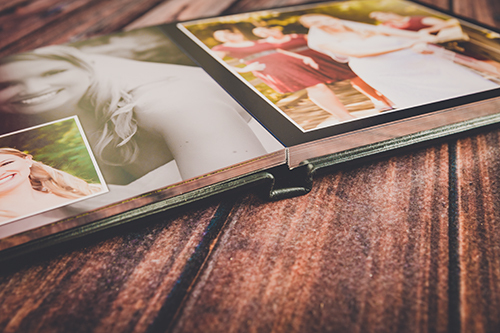 Your wedding album by Next Level Photography is built to last through generations. Imagine, you and your spouse will show this to your grandchildren one day. Next Level Photography is located in New Castle, PA.